You’ve seen sand in the desert. You’ve had beers with girls in pools in the desert. Now, finally, you eat basil-pepper pizza in a giant old barn. In the desert. 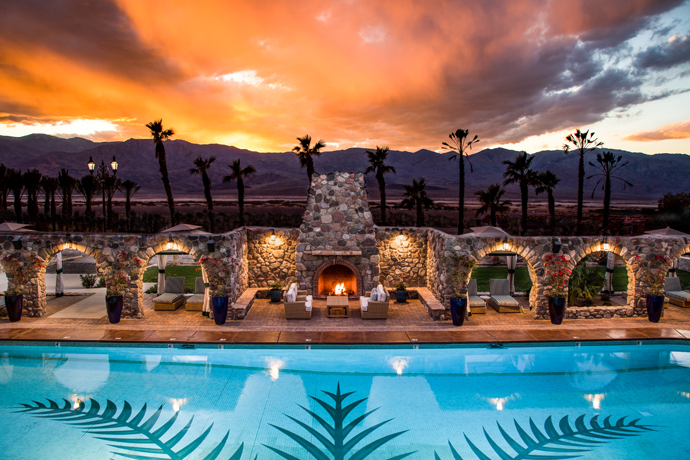 It’s at Sparrows Hotel, an aggressively rustic new Palm Springs lodge forged in redwood, stone and sunblock, taking reservations now for its October 8 debut. If you’ve ever fallen into a techno pool party at the Ace just down the street... this hotel isn’t like that. Think: you, your road-trip date and a bathtub that used to be a horse trough. No TV. No phone. Just the two of you, lying around under endless exposed beams, enjoying the pleasure of each other’s smartphones. Once you escape the room, the pool chairs have a strong gravitational pull. As pool chairs do. Later: horseshoes. Some light tennis with wooden rackets. Nothing too strenuous. And when the sun sets, it’s time to head to the 25-foot barn. It’s a restaurant. That’s what they call it: “the restaurant.” That’s where to grab some beers with the producers you met by the pool, then settle in for a bottle of cabernet and a pizza topped with basil and peppers grown right there on the property.